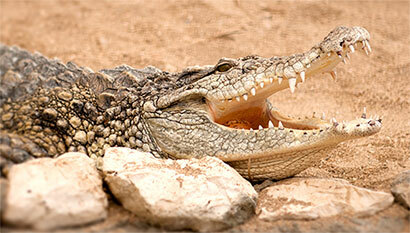 We continue to add a wide variety of alligators, and crocodiles, to this category. All animations are in the GIF format, photographs are JPEG and the illustrations plus clipart are either GIF, JPEG or PNG images. Section includes happy gators, lazy gators, dancing gators, hungry alligators, baby gators, angry alligators plus funny animated alligators. Three alligators dancing. This must be in Louisana. Alligator emerging from the water. 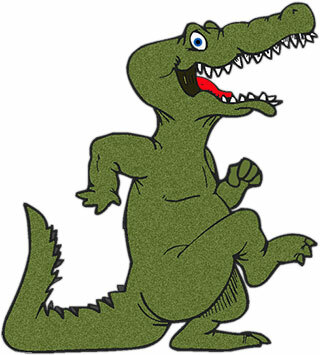 Animated alligator out for a stroll. 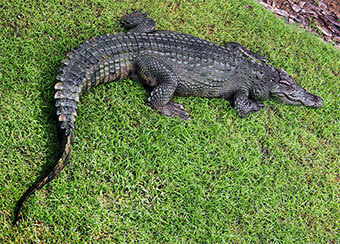 Alligator in the back yard. Could it be yours? Welcome to the world little alligator. 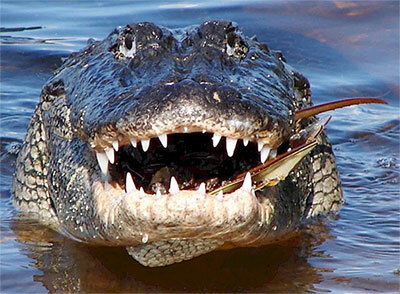 Even alligators can show a little attitude. 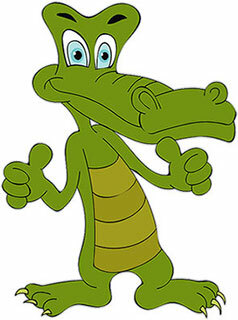 Image of an alligator from the side. 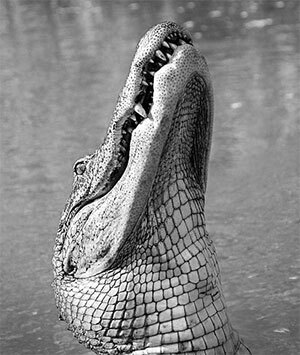 Image of an alligator showing his teeth. Tired of dogs and cats? 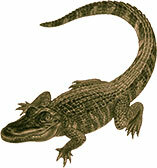 How about a pet alligator. Alligator on the bank of a pond. Green alligator looking a little less dangerous than some. 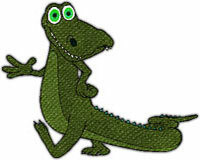 Animation of an alligator on the run. Alligator rising out of the water. Angry gator with a bit of attitude. Walking alligator waving to his friends. Photo of hungry alligator that just caught a nice meal. Alligator in the mood for dancing. 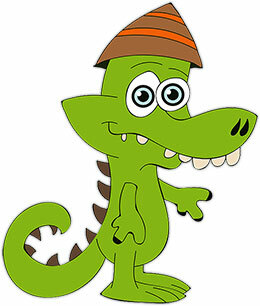 A happy and friendly animated alligator. A funny looking alligator with a bit of a confused look.